TIPS FOR CHOOSING A HUNTING CLUB. Posted 07/30/2013 by Donald Gasaway in Misc. 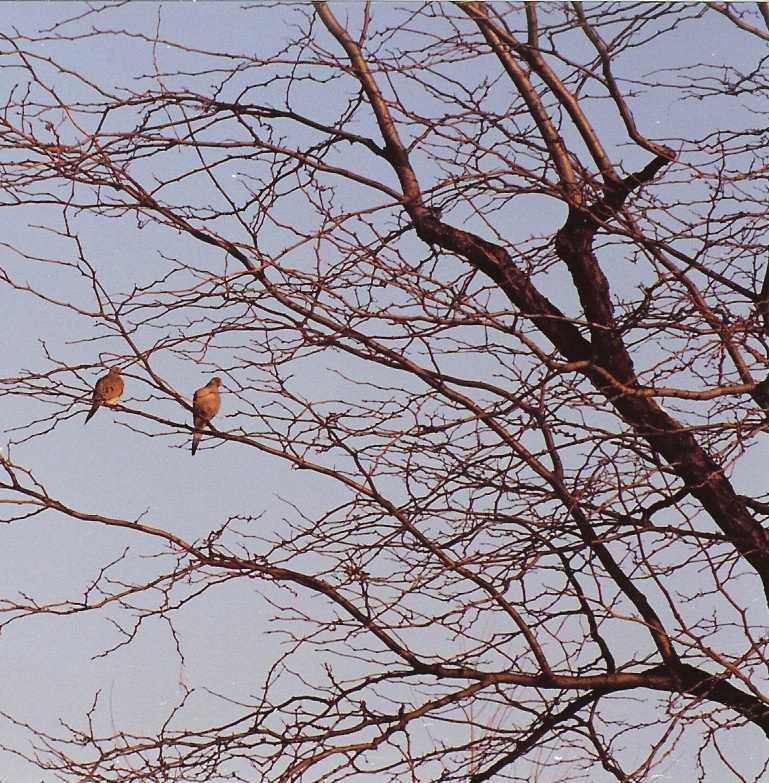 The two most important things in selecting a hunting club are good birds and good cover. Everything else is secondary. You can go to a lot of hunting preserves that have gorgeous clubhouses, expensive landscaping and all that. But if the cover is not adequate and if the birds do not fly well, it is a big disappointment. The science of raising birds has advanced so much that it is difficult to find bad birds anymore. There are some really quality bird farms that raise really good birds such as pheasants and chukar. If you have good cover at your club the hunter is going to have a very good experience in terms of good flight birds. Remember that today’s birds are for the hunter to find. The club has no control over whether or not you can hit them. It is important for you refrain from having the attitude that it is like shooting fish in a barrel. You still have to be a pretty good shot. 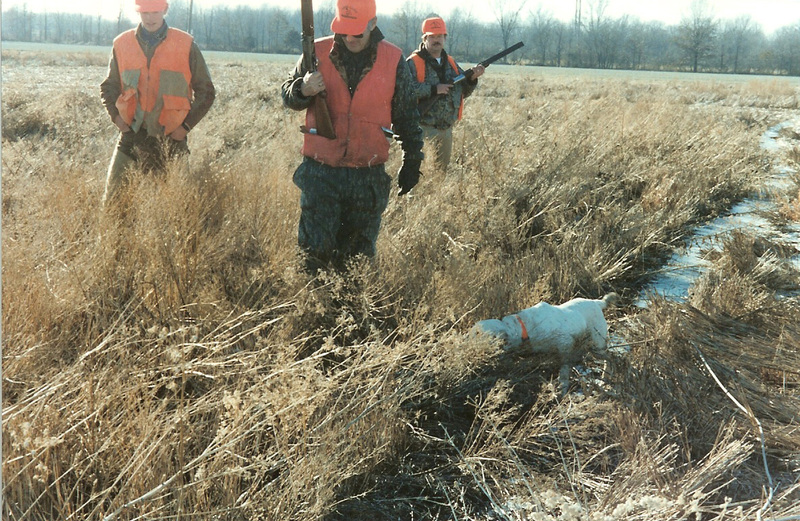 Although every club has its own bird dogs, some like to have clients bring their own with them. It is important that the club have the very best dogs possible. But the hunter can enjoy the experience so much more with his own dog. You never want to talk about a guy’s dog. “You might talk about his wife, but never his dog. Early in the season most dogs are not in top physical condition. This means that they tend to not last long in the field. When that happens, the club owner can offer to bring out one his dogs. They hunt every day and are in good physical shape. They tend to last longer. Placement of birds differs from club to club. At some they place the birds and if the hunter has his own dog he just goes out on his own. The club staff will check on the hunters and pick up the harvested birds. They might also provide water for man and dog. Many hunters fail to bring along enough shells. Bring what you think you need and then add one box. Inevitably anyone who goes out with one box of shells runs out. We are just not as good a shot as we think. Shooting safety is another consideration. Does the club have an active program of gun safety? Some clubs will demand that each hunters view a gun safety video prior to going out in the field. It can really ruin a day if you shoot somebody or you shoot a dog. The size and composition of shooting fields varies from state to state and club to club. Some might have smaller fields with heavy timber and brush surrounding them. Others might have huge fields of grain. In the smaller fields the birds get up and go right to the timber. In the larger fields with no surrounding cover you still have to be quick to get the bird before he is out of range. Finally, does the club have a good way of preparing the birds for the trip home? It is the hunters responsibility to have a cooler so that the birds will not spoil. Most clubs will clean the birds and package them for the trip. They should be marked with the date and the name of the club. Modern hunting clubs are a far cry from the old preserves of the past. Do some comparison shopping to find one that meets your needs. The opening day of dove season is fast approaching. It is usually hot, humid and all the problems that such conditions bring to the sport. But, to the hunter who is prepared, it can be a fun time. Generally, hunters tend to focus on all the shots they take coupled with the few birds they harvest in comparison. The quickly darting target presents a great challenge to the wing shooter and good practice for the upcoming waterfowl or upland hunting. The basics of a dove hunter’s survival kit can be contained in a folding stool, gun and ammo (lots of it), a small ice chest and a goodies bag. The goodies bag can be a knapsack, book bag or gym bag. The ice chest could possibly double for the folding stool for someplace to sit during those slack hours. In the ice chest should be some ice to keep birds cool for the ride home and to cool soda and water for use in the field. If hunting with a dog, it is important to have a jug of water for him to drink. The gun of the hunter’s preference and ammo are the things not usually forgotten. However, because of all the shooting and so little hitting, it is important to have several boxes of shells. A friend once kept track of what he spent on shells and all the other things associated with this sport. At the end of the season he totaled it up and divided by the number of birds actually taken. He figured those birds cost about $56 per pound. Shot size of 6 or 7 are probably best for dove hunting. The goodies bag and contents are probably the most often neglected by the hunter in a hurry. Insects are still a problem early in the season a good insect repellent is a must. Also we are still in the allergy season and many people do suffer to some degree from the pollen in the air. A good antihistamine, either prescription or over the counter, will help to alleviate the problem. The goodies bag is a good way to carry the shells. Plastic bags for the birds can also be place in the bag. A book or magazine will come in handy when the birds are not flying. A small camera in the bag can record the hunt. Because the sunlight often is a problem a good pair of sunglasses is helpful. The birds always seem to fly right into the setting sun. Some helpful things to carry in the goodies bag are goodies. That is, things like a lunch or snacks. Fresh fruit, candy, chips, etc. go over well in the hot early fall sun. Taking sunfish is not difficult, nor expensive. The theories on how to catch them are numerous. To that end here are some thoughts of some local anglers. They fish for these delightful little fish most of their lives and study their habits and habitat at length. Basic tackle for fishing sunfish and bluegill includes light line and a light wire hook. In areas of heavy timber, an 8-pound line is better. It allows the angler to pull snagged hooks from the brush by force. You can reel down until the rod is pointed right at the hook and then pull straight back. The hook will straighten out and come loose. Then check to make sure the point is undamaged. If need be, bend the hook bent back into shape and use again. To get the hook down to the feeding level of the fish, use a small split shot. Place it on the line about 15 inches above the hook. Sunfish are a bottom feeder. They turn their tails upward to feed below themselves. The bluegill feeds on the same level or above. Out in the deeper water the two different fish approach the bait in the same manner. 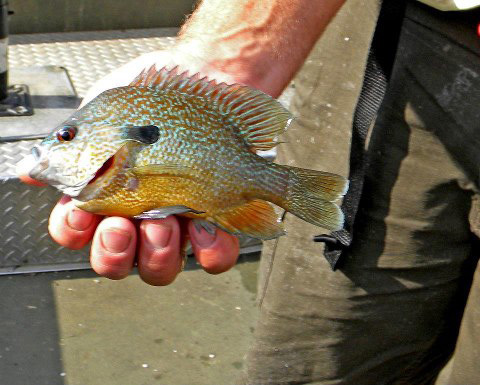 Bluegill relate to vertical structure and sunfish to horizontal. Sunfish prefer a hard bottom with some weed nearby. The unusual clarity of some southern Illinois lakes allows weed growth as deep as 12 to 18 feet below the surface. But, fish are also near the surface if the water temperature is in their comfort level. Cast a piece of night crawler skewered on the hook and allow it to sink to the level where the fish will take it. Slowly jig the bait across the bottom and in wood structure during the retrieval. Fishing for panfish is an exciting sport all year around. It is for all members of the family, not just children. Their propensity to multiply helps to keep their populations high regardless of the fishing pressure. It is these large populations throughout the area that makes them an excellent choice for a day of fishing action. Keep in mind that the bass are not suspended in open water in the middle of nowhere. They usually are relating to the end of a deep point, a channel, ledge, sunken island or whatever underwater structure they can find. Largemouth bass do not want to stay in open water. They prefer the shoreline or on emergent structure. Suspended fish in open water are very difficult to catch. It is best that one follow whatever underwater structure available and trace it back toward the shoreline. Chances are good that some of those fish are moving back looking for something to eat. That makes them vulnerable to lures. You may find a concentration of inactive fish off shore but a few of them will move back and forth to feed. If the weather and feeding conditions are prime, then many will make the move toward the shore. In late summer, the schools of bass that are feeding on forage fish will respond to lipless crankbaits that provide noise. An interesting study done a few years ago by Cetacean Research Technology of Seattle, Washington opened some new views into bass behavior. We had long known that bass do respond to noise but just why and what noise was not clear. Cetacean found that the noise from a lipless crankbait is nearly the same as that made by a schooling shad. Bass and other game fish return to feeding activity by this sound. Some fish will respond to small, shad color topwater baits and shallow running lures. There will be times when the bass just seem to reject any presentation. It is at this time that one should consider lure size. Try downsizing the weight of the lure. In the fall, they may be feeding on very small shad and a lure as small as ½ inch in length might be just the ticket. Schooling usually takes place in open water. The key to catching them is probably matching the size of the lure to the size of the forage fish. The larger bass herd the forage fish to the surface and then strike them in a feeding frenzy. The lure should imitate the wounded forage fish that were victims of the drive. After the foraging frenzy is over, the bass return to structure in the area and hole up until their next meal. An electronic fish finder will often locate them on some major structure. Often they can be enticed out of seclusion with jig and minnow, grub, or spoon lure. 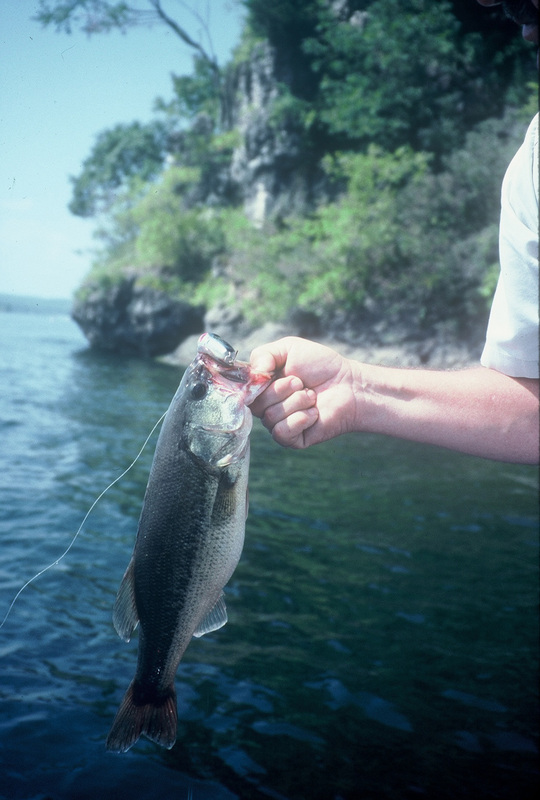 On larger bodies of water, bass relate to any structure in deeper water. The fishing is more erratic as the water cools. Nevertheless, during the feeding frenzy periods they are great fishing action. Jeremy is a wildlife biologist who was instrumental in the development of Buckscore a computer program that aids in the ageing and scoring of deer from photographs. Speaking to a group at the Quality Deer Management annual meeting, he presented Buckscore’s basic theory and development. Today’s deer hunting community has developed an obsession with aging and scoring deer on the hoof. They often refer to deer by the total inches of antler. But there is a difference between a 150-inch 3-year old and a 150-inch 6-year old deer. It is more appropriate to describe a deer by both antler size and age. We need to thin when looking at a buck, is this deer old enough for harvesting and is it big enough to meet management goals in the area. The recent explosion of the use of trail cameras has created voluminous collections of deer photos. 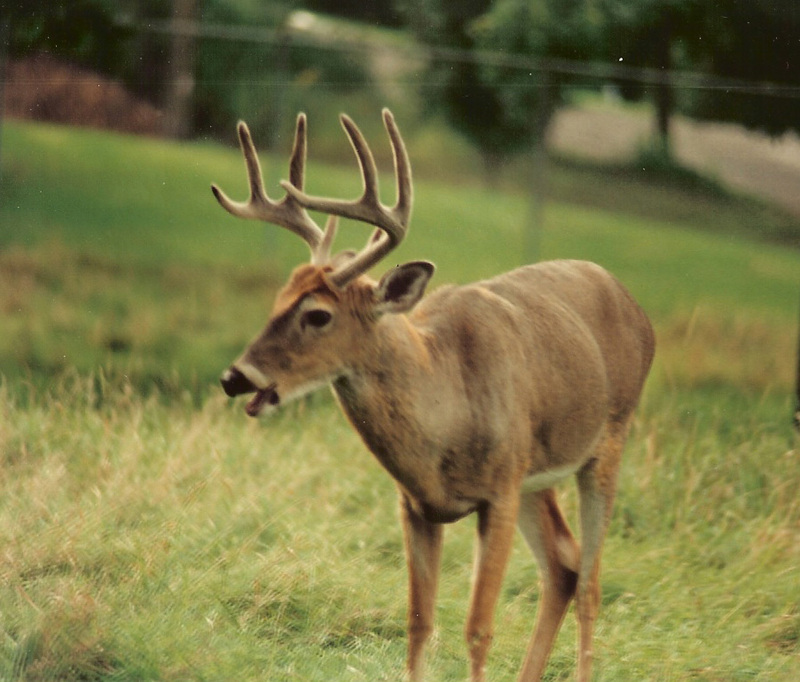 Managers can gain information about buck to doe numbers, fawn production and deer density. In terms of bucks, we can learn the number of points the deer has as well as information on deer inventory of the management area. In the past we used the ear, eyes and nose as reference points in measuring tine length, spread and beam length. When it comes to aging a deer we tend to use the neck, the chest, the stomach curve. Jeremy and the staff of Mississippi State University took these elements and put them in a user friendly computer program. Regardless of ones skill or education you will be able to collective the data. This led to the development of Buckscore. There are three issues encountered when they began to score deer with photographs. The first was the distance between the camera and the deer. It is impossible to work estimates that are pure guess work. They have to use physical features that nature provides. Physical features on the deer. This could be the distance between the eyes, upper and lower nostril width, the ear width, and the eye ball width. Deer cover a wide geographical range. Deer in Illinois are different than those in south Florida. Buckscore partnered with a number of state and private agencies and sampled the five physical and facial features from almost 2,000 deer. The data went into the program. Still it is not as if they have the deer in hand. Because they have a two dimensional picture they lack depth perception and curvature. The photos cannot account for that. They created a mathematical formula that corrects for depth perception and curvature. That gives the measurement as if you have the deer in hand running a tape along the beam. The last thing they had to account for is the angle of the deer to the camera. It means they had to correct much more for the angle. They developed a program for angles. They program uses a straight on view, an angle or 45-degree view, and a side or 90-degree view. If you can paint a picture of a deer in any of these three angles you can get a score of that deer. The most consistent and most accurate physical feature to use in antler measurement seems to be ear width. So that is where they recommend beginning. Then the program takes you through a number of physical and geographical considerations with a final result that is very accurate measurement of the deer’s score. In aging a deer the program considers 9 physical features. Once you enter the nine features and you hit “go” everything is automatic and there age estimation is very accurate. It bases he estimation on percentages and high probability factors. The deer photo goes through a series of steps automatically presented as each step is completed. There is a learning curve in the use of this program. Flinn recommends running 5 or 6 photos through it to polish your skills in using Buckscore. This is a simplified description of the program. For more information on Buckscore refer to http://www.Buckscore.com.